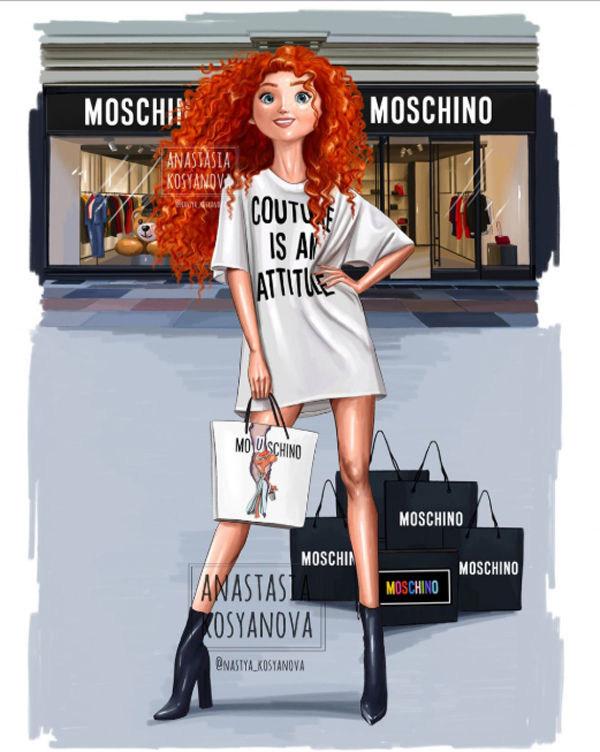 What happens if the Disney princesses that we usually see through animated films become models using today’s brands? 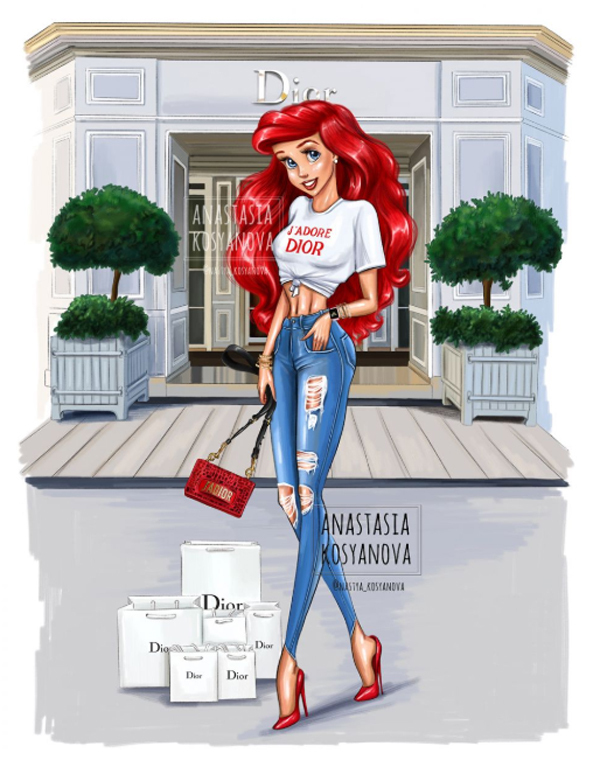 From casual outfits to elegant party dress, the Disney princess looks very pretty wear brands and clothing that actually exist in our world. 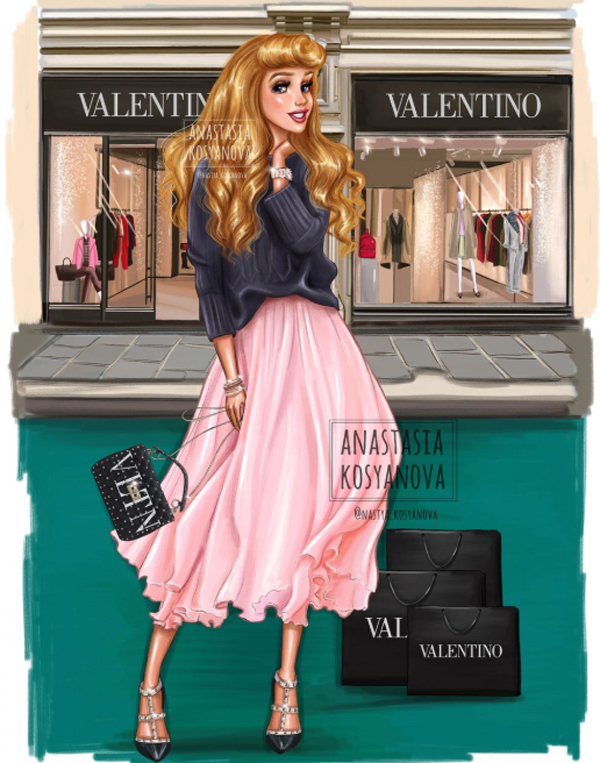 Anastasia Kosyanova, who is also a Russian artist who has succeeded in creating this unique fashion illustration. 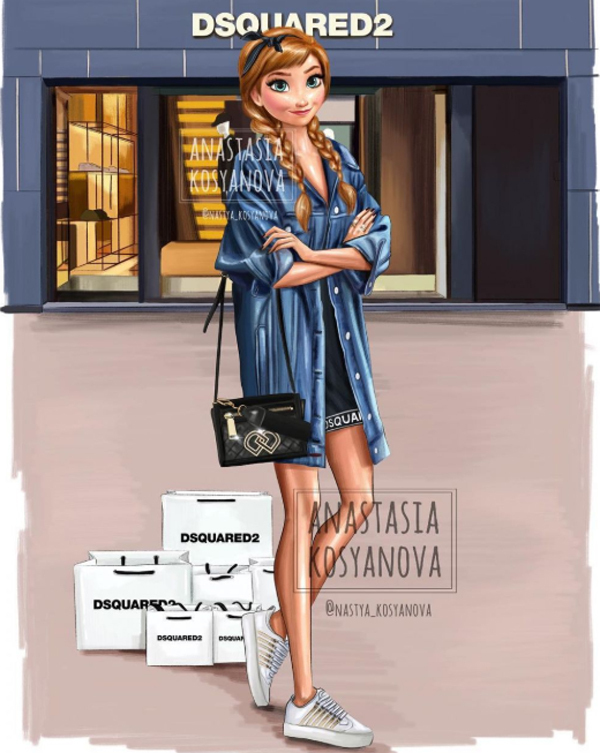 She is the person who made the Disney princesses able to live in modern times wearing various world-famous brands. 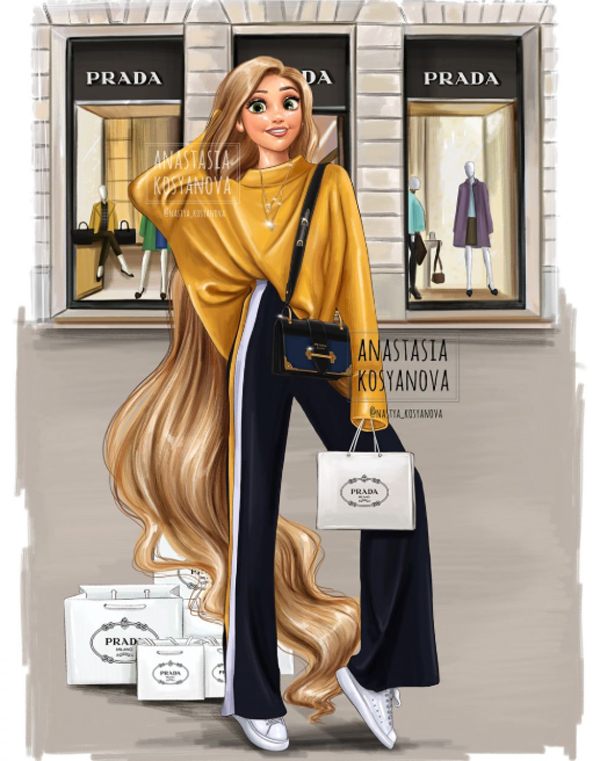 Her work is unique, because not all artists are able to make the Disney princess is synonymous with ancient clothes become very fashionable and modern. 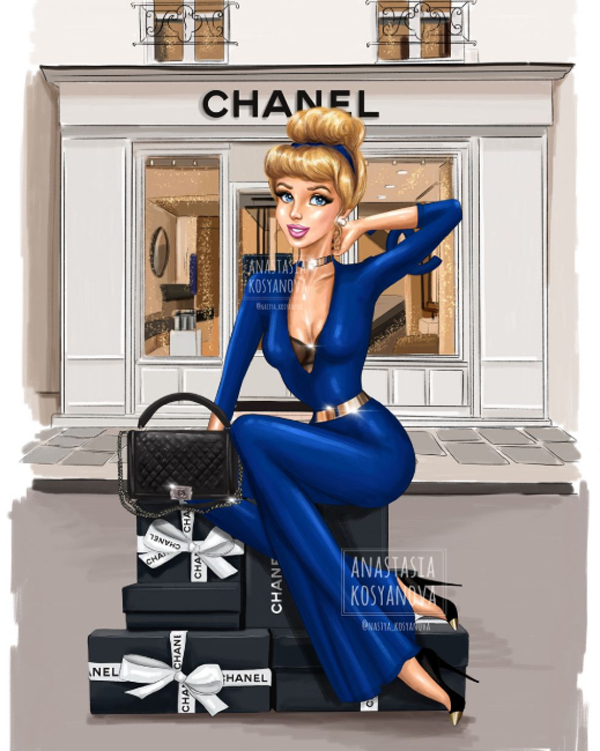 Who would have thought Cinderella would look very elegant with Chanel collection, Snow White can look trendy with fashion of Tiffany & Co., or the famous Merida may appear sloppy casual fashion collection Moschino. 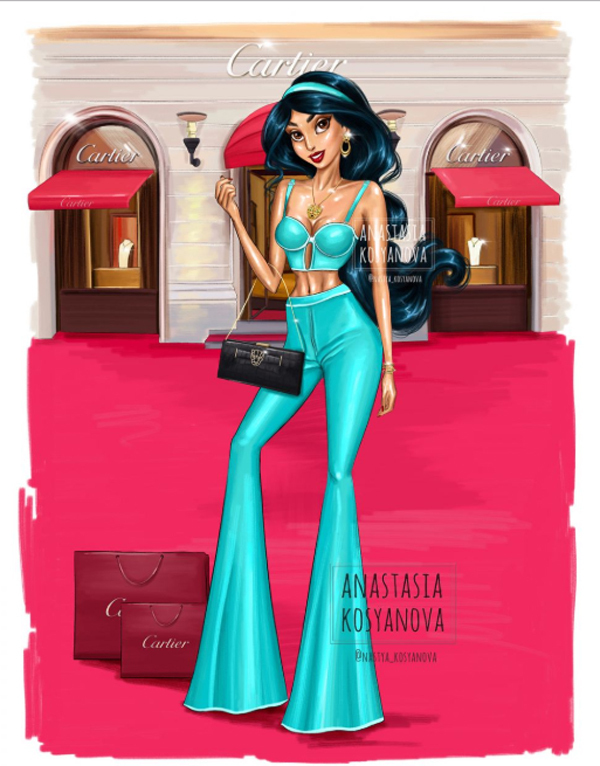 She successfully combined a number of Disney Princess characters and it was truly extraordinary. 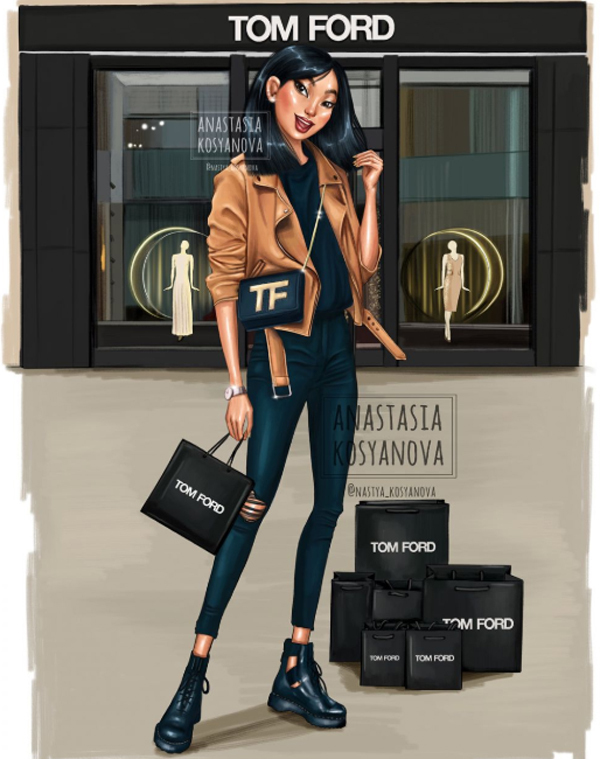 Curious about what the illustrations were like? 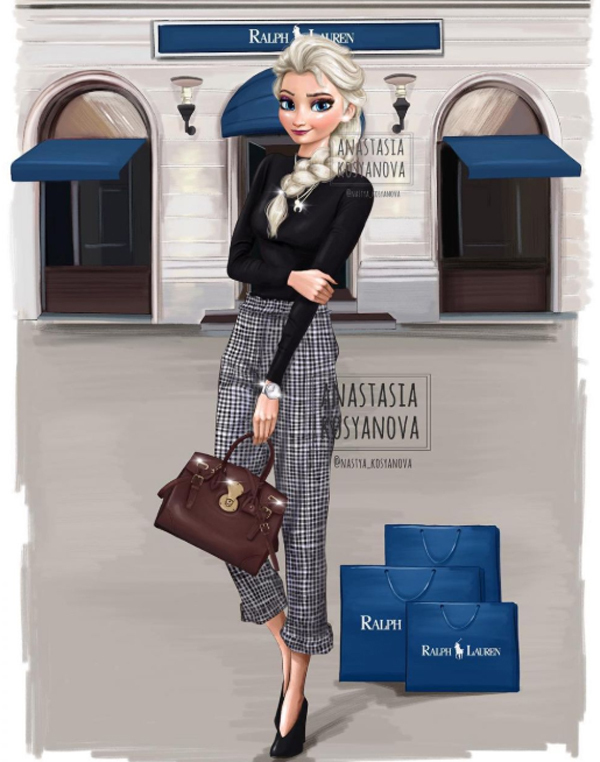 Let’s take a look at the 10 styles of Disney Princess with today’s outfit and if you are still curious, let’s take a look at the instagram. 2. 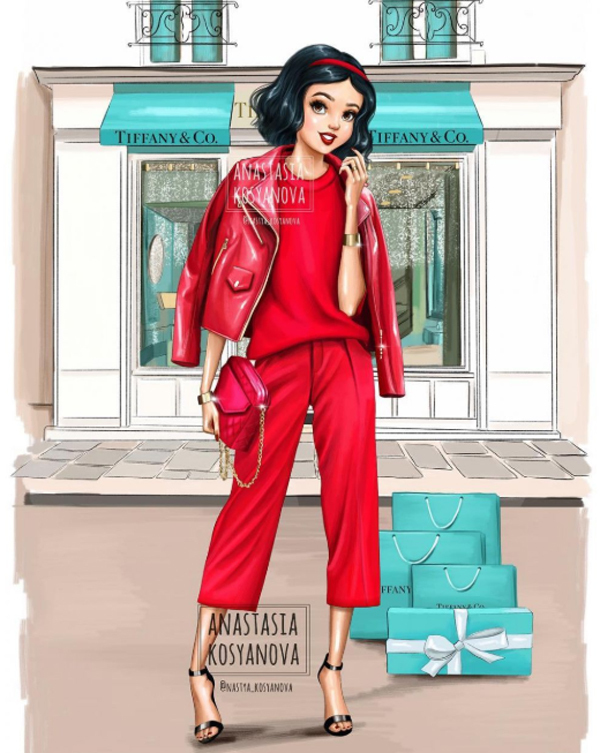 Snow White with Tiffany & Co.